Inspired by the Summer sky and stars. 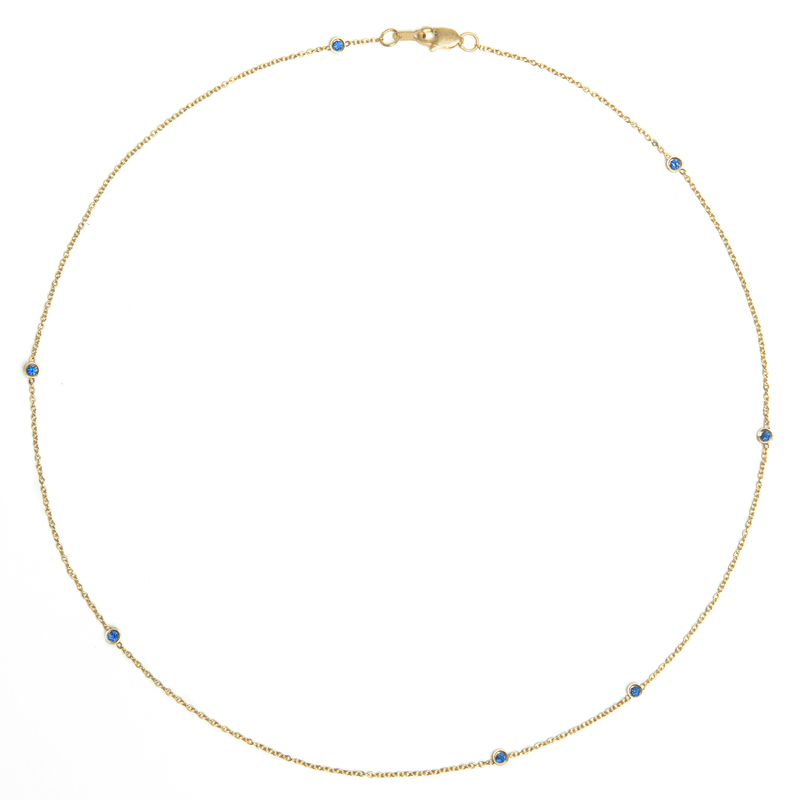 A fine 18k gold 16 inch chain dusted with 7 brilliant blue, responsibly sourced Montana Sapphires. 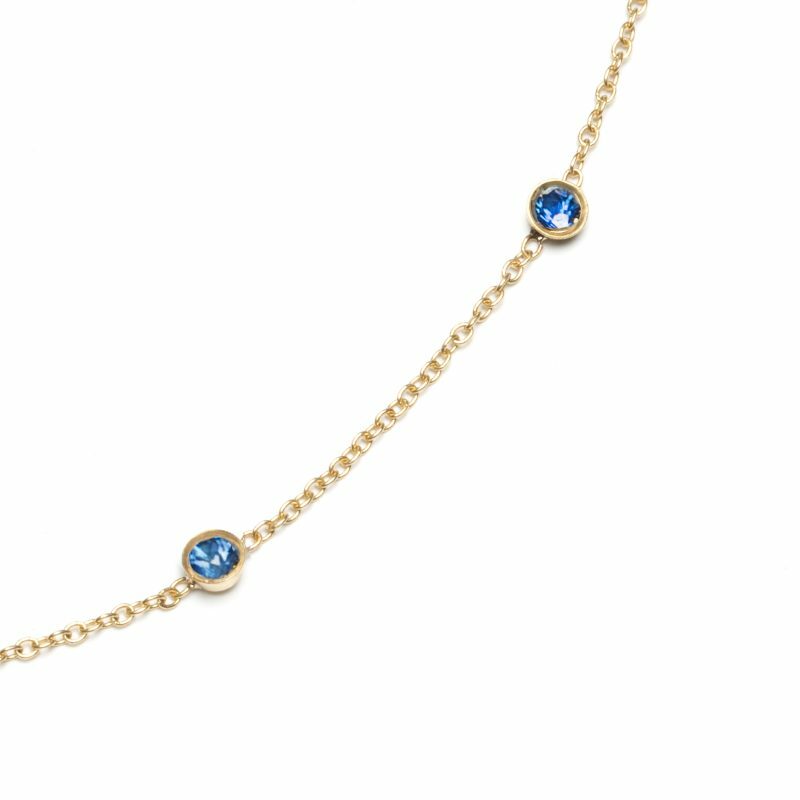 Can be customized with additional Sapphires and in rose gold, white gold and platinum (price upon request).